Were going to start this off with the main turning point of the game...the pass interference call was the wrong call. Now what we have here is a game recap, we dont just state the score, we don't just state stats...we discuss the facts and key points of the contest that make the game all that special. Boy was this a special game. The Browns squared off against the AFC East leading Patriots on a cold Sunday game and most people cant lie saying that they thought this one was easily in the Pats favor. Just as the Pats have done for the past 3 games (3 straight 2nd half comebacks) they have fared horribly within the 1st half. Hell yes did the Patriots look atrocious after 2 quarters in the books. The half time score read 6-0...Browns. Ugly right? Not just ugly for the Pats but ugly for both teams. The ugliest part of the 1st half of this game was another saddening injury for the Pats and their standout tight end Rob Gronkowski. Gronk was tackled hard on a routine play but it looked as if his leg was badly injured. 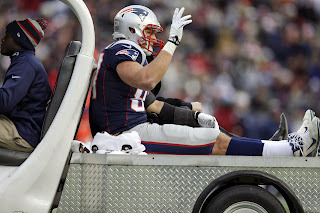 Judging from his reaction on the field and then being carted off it wasn't going to be a happy ending for the Pats. As of this moment the Patriots medical staff is fearing the all-time leader for TD's as a tight end may have torn his ACL.As the Pats do in the second half...they surprise and come back. Thats just exactly what we saw here in this week 14 match up. 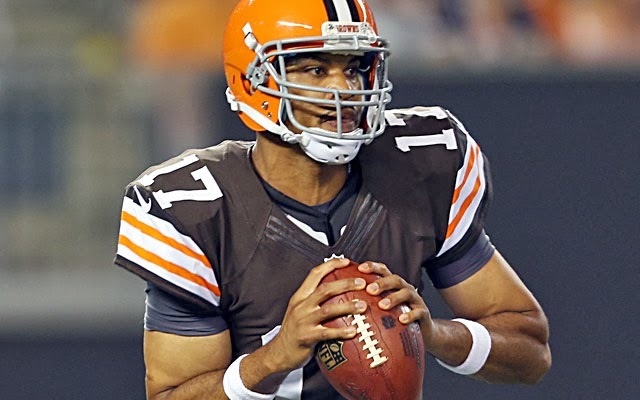 As the 3rd quarter began Jason Campbell quickly responded to the not so memorable 1st half as 4 minutes in he hit Gary Barnidge with a beautiful 40 yard pass for a now Browns 12-0 lead. 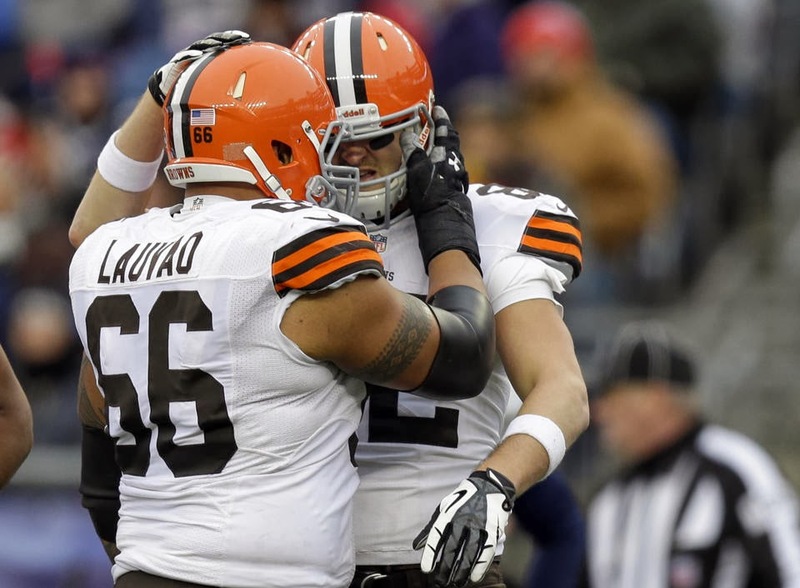 Browns tried to convert a 2 point conversion with the run play but were unsuccessful. The Pats couldn't get on the board in this scrap match until one minute remaining in the 1st. As the clock just reached past 2 minutes Pro-Bowl leading kicker Stephen Gostkowski hit a 33 yard field goal to get the Pats with a point on the board. Were not done here yet folks! Just when the end of the 3rd looks over...every fan was shocked with the Browns next possession. After the kickoff...first play...Campbell struck at the heart of the Patriots secondary as he aired out a 80 yard heave to rising receiver Josh Gordon. Gillette Stadium was shocked to see Cleveland toying with the division leading Pat's defense in the 2nd half. Two 40+ TD passes from the former Auburn quarterback (Didn't know that fact? Well know you know! Sounding like Bigge Smalls right there). -Watch my reaction to the crazy game as I discuss the blown pass interference call, how the Browns had chances to secure the game after the call, and of course a full recap of quarters 1-4! The Pats actually managed to get their first TD on the board after the Browns led 19-3 with under 1:40 left in the 3rd quarter. With 9 seconds left in the quarter Shane Vereen ran for a block filled 6 yard run to get the Pats their first offensive TD of the game. Julian Edelman caught a pass from Tom Brady on the two point conversion after Vereen's run.Pats still needed an incredible performance in the 4th as they trailed 19-11 as the 4th got underway. The 4th quarter was just another way the Pats could redeem their 1st half woes, and in this contest...their 3rd quarter woes as well. The Pats and Browns got no points on the board through just about 10 minutes of the final showdown of the game as the Pats hit a 50 yard field goal with just about 5:30 left on the game clock. 19-14 was then the score, but the Browns responded quickly as they scored yet another TD in the hands of Jason Campbell. With 2:43 left in the game Campbell tricked out the D with a fake hand off to the running back, which then led to his switch in motion to the right side of the field and found a wide open Jordan Cameron for a 4 yard touchdown. Campbell also found the a convincing 26-14 lead. We all know the pass interference call was incorrect...but don't blame the Pats...blame the refs.No team has had their share with as many game changing blown calls than the Pats this season but just take a second to realize not every team gets their fair share of calls. The Pats then got yet another stride to another comeback as Brady hit Edelman with a 2 yard TD to get the Patriots defect to just 5. The score read 26-21 as the Patriots were in need of an onside kick recovery. The Pats pulled off a beautiful onside as Kyle Arrington recovered the kick as the pats now had yet another chance to win in another comeback effort. The Brown's Fozzy Whitaker got a hand on the ball but could not control it. The kickoff with just under one and a half minutes to go was set up by an unnecessary roughness penalty for a hit on Edelman. 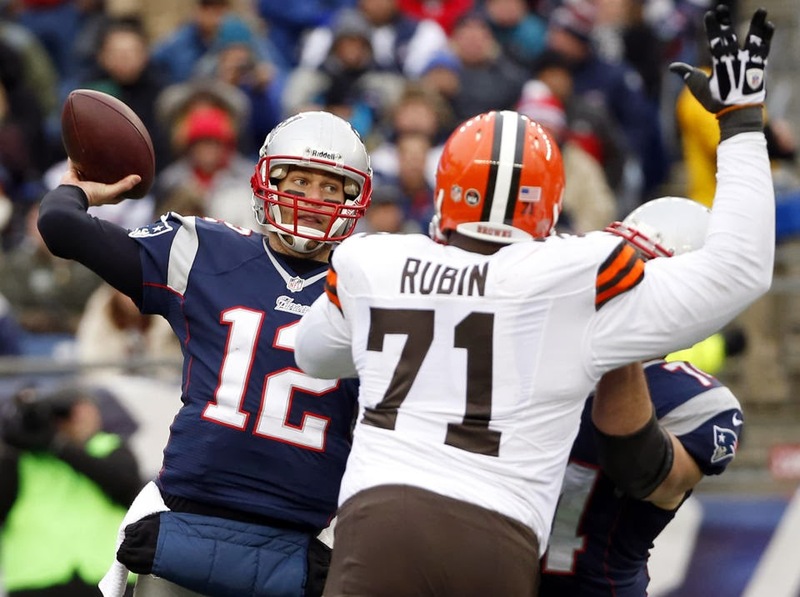 That allowed the Patriots to kick off from the 50-yard line rather than their 35. You know what happens next, Brady does his magic. Before the Pats have a chance at a score they get rewarded. Then Leon McFadden was called for defensive pass interference against Josh Boyce in the end zone. The Pats were now on the 1 yard line with a chance to take the 27-26 lead. Brady connected with Danny Amendola for a 1 yard TD pass to give the Pats the lead in wake of the comeback. 35 seconds were left for the Browns to make a move. 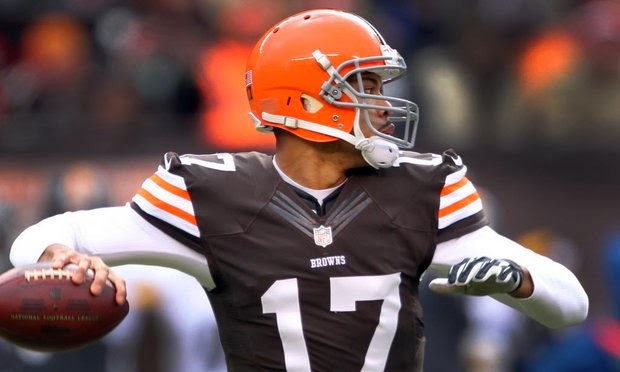 Campbell led the Browns down the field in convincing fashion, and as the clock struck one second a spike was needed to secure a field goal attempt. With just one second on the clock one man steps up for a 58 yard game winning kick try...and of all people it is Billy Cundiff. We all know of Cundiff's struggles at Gilette as he missed a 30+ yard field goal to send the Pats to the Super Bowl in 2011. Cundiff missed the long attempt rather short and after the play he clearly looked upset yet again. You could see the word "F***" clearly spill out of his mouth as he once again could not make the difference in a critical game against the Pats. Matt Prater went on to hit an NFL record 64 yard field goal for the Browns just an hour after the game. 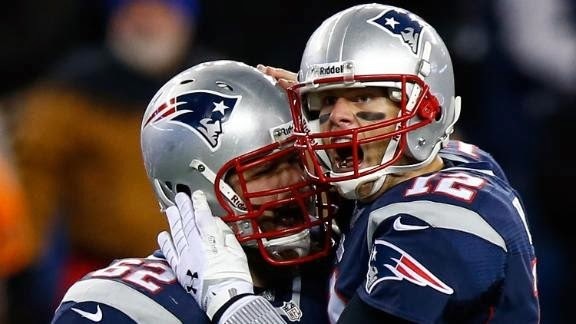 The Patriots were once again victorious in a comeback as they cam out on top with a 27-26 win. The Pats clinched the AFC East division (yet again) in wake of the final score. Blown call pass interference...we know. 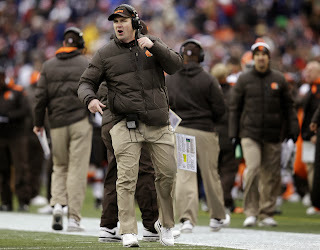 But didn't the Browns have 2 chances to secure the win after the call (The onside kick and Cundiff's field goal)? Yes. Looks like Pats fans will have to keep witnessing these 2nd half comebacks. It seems as if the Patriots are glued to late game controversial calls. Am I the only one thinks this? I think it is slowly becoming a fact.